Come and see why the Central Experimental Farm is one of the National Capital’s most visited tourist attractions and local treasure. Discover the Farm’s plant Collections here! Discover the Farm’s many attractions here! The Farm is located just a few kilometres from downtown Ottawa. 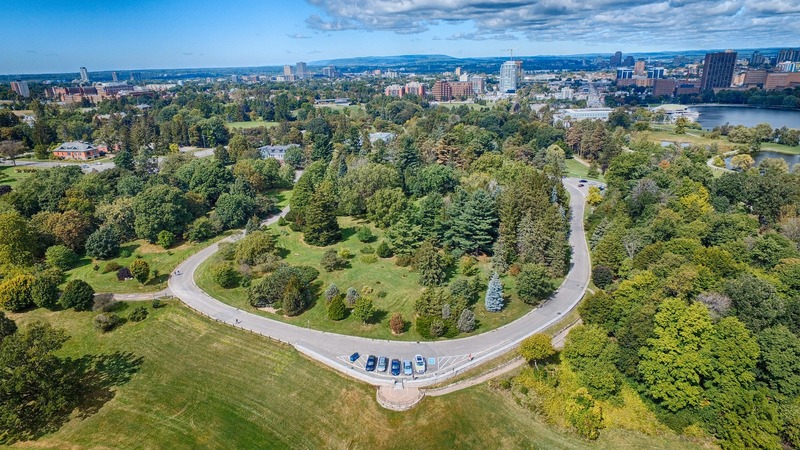 Take the Queen Elizabeth Driveway on the west side of the Rideau Canal. After passing Dow’s Lake, you will be on Prince of Wales Drive. Continue on this road to the round-about at the corner of Prince of Wales Drive and NCC Driveway. At the round-about, turn east to the Arboretum, west to the Ornamental Gardens and Museum, or straight through to find lots of parking. If you are exploring the city using public transportation, the O-Train stops near the farm at its Carling stop, as do the 6, 85, 101 buses. You can use OC Transpo’s travel planner here to get to the Farm. The Arboretum and Ornamental Gardens are free and open to the public from dawn to dusk. And there is free parking. Most areas are accessible for those with physical limitations. For information on farm animals please visit the Canada Agriculture and Food Museum. For information on photos or weddings please visit Agriculture and Agri-Food Canada Guidelines. The Friends of the Farm volunteers are located in Building 72 in the Arboretum Mon-Wed from 9am to 2pm.